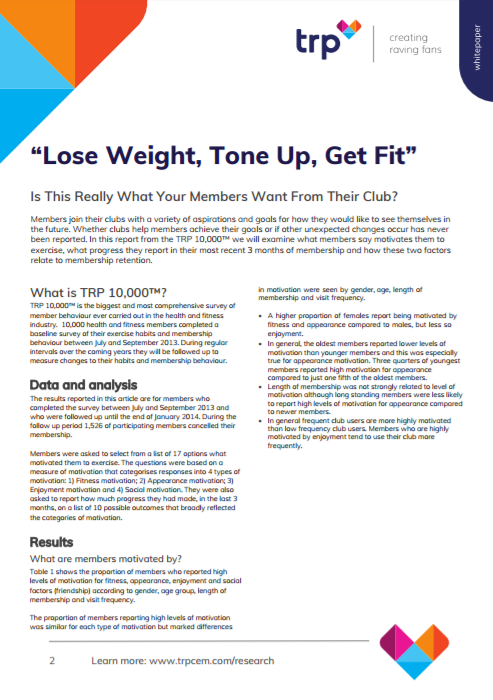 What Motivates Your Members and Does Their Perceived Progress Affect Retention? What really matters to members to keep them motivated and engaged? What progress do members report making and how does this affect retention and loyalty?